The Phoenix Park Polo Grounds. Two photos today for you, simply because I just can’t decide which one I like the most. They are pretty much the same photograph, just taken from slightly different angles. It’s a fine example of what can happen to a photograph when you simply turn the camera around, I know a lot of landscape photographers would very rarely turn the camera sideways but I must admit there are times then it just works so well. 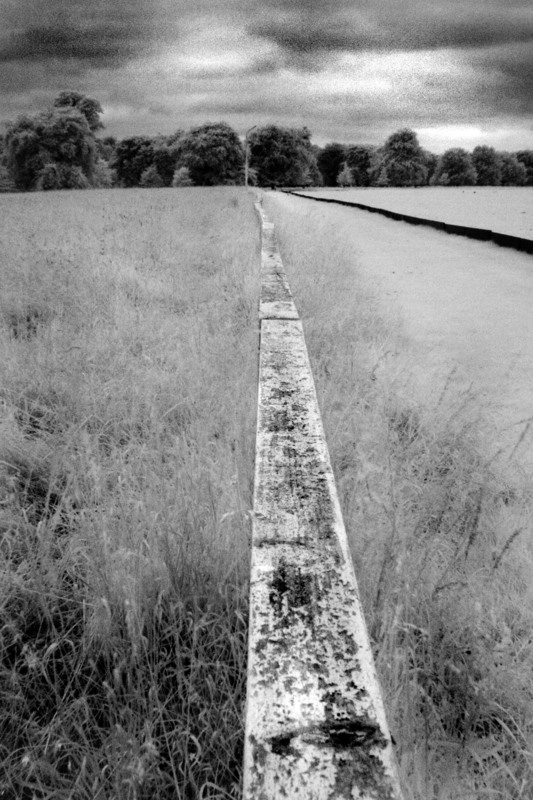 I love the way the fence in both of these shots tends to draw your eye up through the photo towards a point when it meets up with the little wooden fence in the long grass. This photo was taken by the side of the polo grounds, the little black fencing in the grass is actually the outer boundary of the polo pitch. I can’t claim to understand any of the rules of polo but trust me it’s a wonderful way to spend a sunny afternoon, just lay down in the grass and enjoy the spectacle of what I like to call hurling on horses. Both of these shots were taken using my trusty old infra-red filter, hence why the grass on the pitch looks a bit like snow. 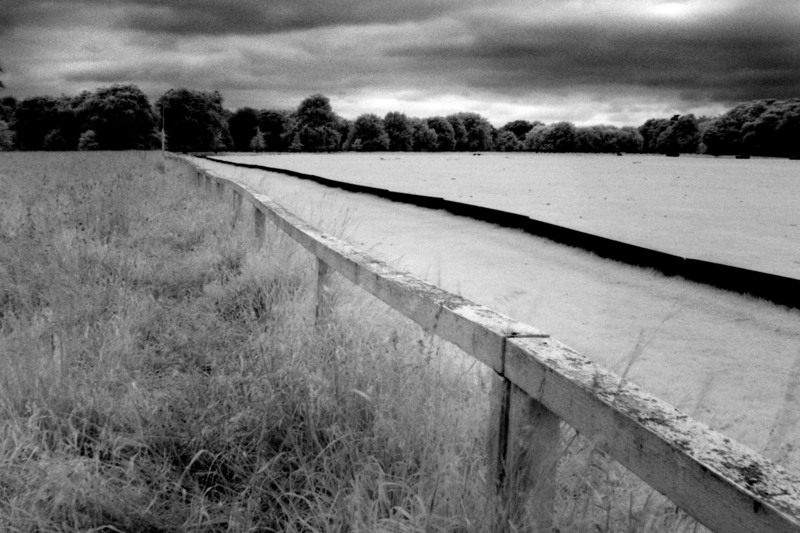 This entry was posted in Black and White Photography, Infra-red Photography, Irish Landscapes, Phoenix Park and tagged Black and White, Dream Like, Infra-red Photography, Phoenix Park, Photography, Wide Angle. Bookmark the permalink.